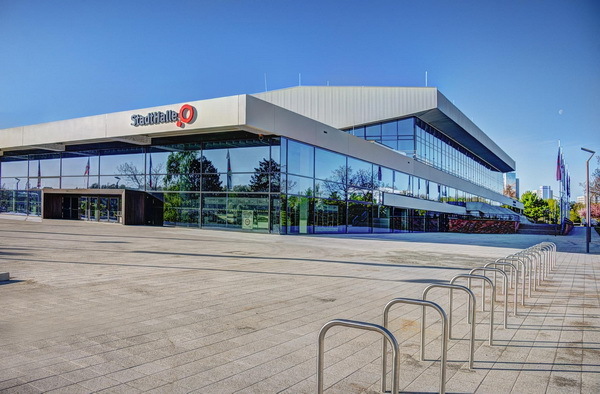 The StadtHalle Rostock is a recognised venue for shows, concerts, conferences, congresses, receptions, balls, social highlights, sporting events, exhibitions, ice revues, horse shows and television productions. Since 1979 our multifunctional facilities have never failed to create the perfect event setting. Through extensive renovation work in the summer of 2006, the grounds were redesigned, more comfort was added inside the event halls, and light-flooded foyers were created. The complete renovation of the lower and upper-level seating in Hall 1 was completed in August 2011.